For a full menu and where to get Tony Luke’s near you, find a location now! Tony Luke’s cheesesteaks use thin-cut 100% USDA rib-eye steak, that’s hormone and steroid FREE, topped with your choice of American cheese, provolone or Kraft Cheez Whiz. The rib-eye is cooked to order every time, always served on baked in-house bread and customized to your liking with a variety of toppings. Also known as the Mixed Veggie. Sautéed broccoli rabe, sautéed spinach, sweet peppers, fried onions and marinara sauce come together to create a delicious vegetarian sandwich. 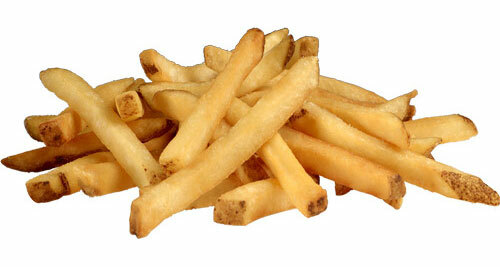 Natural Cut is a fancy way of saying some of the potato skin is left on our french fries. Try them with our special seasonings! Available in Chipotle BBQ, Salt & Vinegar or Maryland Crab Seasoning.